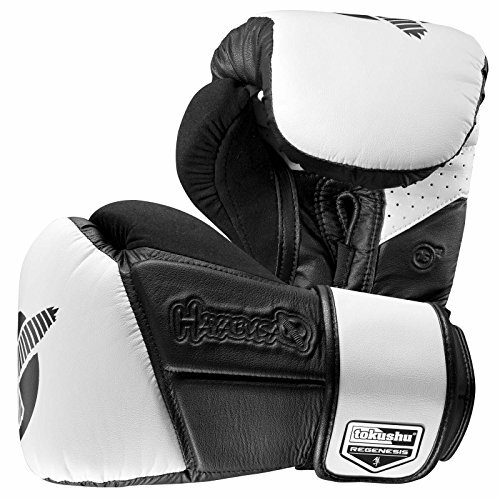 Hayabusa Fightwear Tokushu Regenesis 16oz Gloves, Black/White, 16 oz. Personally I am not a fan of, “MMA brands.” When it comes to them you usually pay for the design, not the performance, which ends up making the gloves overpriced. With that being said, the Hayabusa Tokushu gloves were a delightful experience. They surprised and impressed me in almost every possible way. These gloves use a layered padding. Which as I’ve stated in earlier reviews, is my favorite type. The padding is not as soft as Winning boxing gloves but it’s definitely up there. Out of the box the gloves were pretty much broken in, you can open your hand up fully. The shock absorbency is incredible. The feedback of the gloves is a little dull, it’s more springy than anything but I don’t mind. To further emphasize the feedback feel, they’re more similar to Winning than Reyes. Hayabusa definitely created an amazing overall padding. The protection of these gloves rivals that of the Winning’s. These were the first gloves I owned where I never had to worry about injuring my bad wrists. No matter how hard I threw hooks, my wrists never hurt. The Dual X Closure, or the, “dual straps,” and the split foam sections on the back of the hand do a flawless job at supporting your wrists. There is practically no give at all going back and very little going forward. My knuckles have never been sore using these gloves. Again, the layered padding does its job in a masterful way. No matter how hard I threw a punch my hand felt great the entire time with no pain due to shock. As I stated before these things can actually rival Winning on protection. These gloves also have the absolute best wrist support of any velcro glove I’ve ever used. These are some great, “all around gloves,” as you can use them for literally anything. As soft as the padding is though, I wouldn’t really use these for sparring. That’s not to say you couldn’t use them, but for my sparring partners sake I’d rather use some R2C C17s or Winnings as their padding protects a sparring partner better by cushioning the impact more. That’s personal preference though, the gloves can be used for whatever the user wants. Before my Winnings came along, these Tokushus were my heavy bag gloves. The protection they offered was amazing and I could really rip punches into the bag, something I wasn’t too used to previously. As I mentioned earlier these gloves really surprised me. These gloves are very comfortable because of the soft layered foam. That being said though there are two main issues that ruins the comfort. For starters the carbonized bamboo liner is a little rough. It won’t tear up or scratch your hands but there are better options out there. The liner feels like it belongs inside of a winter jacket instead of a Boxing glove. It also does a terrible job of managing sweat as it just acts as a big sponge. Personally I just wasn’t a fan of this liner. Secondly the thumb position caused my hand to cramp up quicker. After around 4-6 rounds I could feel my hands tire out. Besides that the thumb did not bother me at all but there are a lot of people who complained about the thumb so much so that Hayabusa ended up changing it in the new Regenesis model. While I still use these gloves occasionally, the thumb drove me to use my C17s or Winnings more often. The way you bend your thumb in these gloves is just too strange and it ends up lowering the performance a little because of the strain caused in your hand. Overall though the gloves are pretty comfortable. The hand compartment was roomy for me but I have small hands. 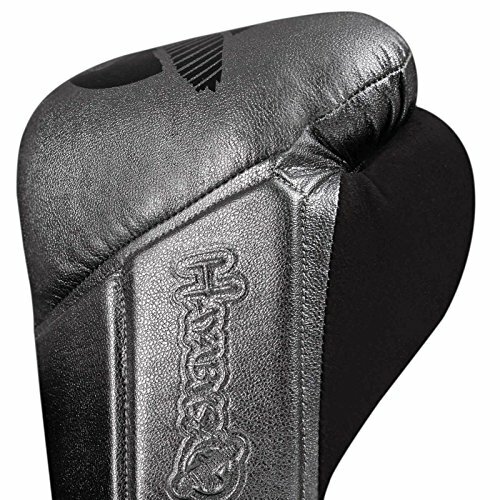 For users with bigger hands though Hayabusa also has a 16oz+ size. I prefer a bigger hand compartment as opposed to a small one but opinions differ and Hayabusa was smart for making a different sized model. One of the cons of practically any and all MMA brand is their quality. Usually the price of said gear does not justify the price. That being said though I suppose I got lucky with these Tokushus. These gloves have little to no loose stitching, the stitching for the most part is straight and clean, no messed up padding, and really no major imperfections. Other users have reported mediocre quality so again don’t expect, “Winning like,” construction. The Tokushus are also true to weight, being 16oz, the left glove weighs in at 16.2oz while the right was 16.3oz. The vylar they used is durable and does its part, I have no complaints. The problem is that because of the cost of these gloves I would expect them to be full leather construction. Instead you need to pay more money. The mesh palm is also pointless in my opinion, in any glove. Hayabusa also used a lot of its logos in the glove which makes them look a little unprofessional. The main issue though is that they put a logo along the knuckles. Now because this is the striking surface that means that with time it will more than likely scratch off. Here is also stitching that runs along the sides of the fingers, close to the striking surface yet again. The stitching is fine so far but it does look like it’s messing up. It actually seems like someone tried ripping it off with velcro and I know for a fact no one did but that’s the best comparison I can give. 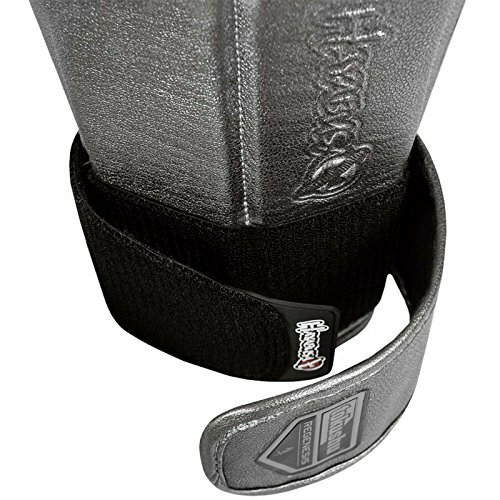 Hayabusa also uses their brilliant dual strap velcro closure. This and the split padding on the back of the hand cause an extreme amount of support for the wrist. 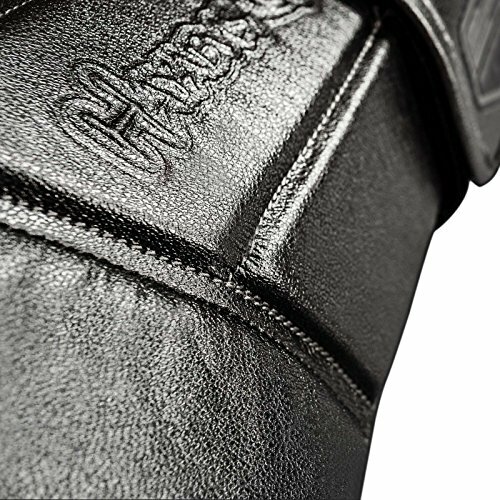 The first strap, inner strap, is elastic and with a rubber end which makes it easier to grab with a gloved hand. The second, outer strap is just vylar with no special qualities. And while the straps do help I think it’s the very dense, split sectioned back that truly creates that insane support. 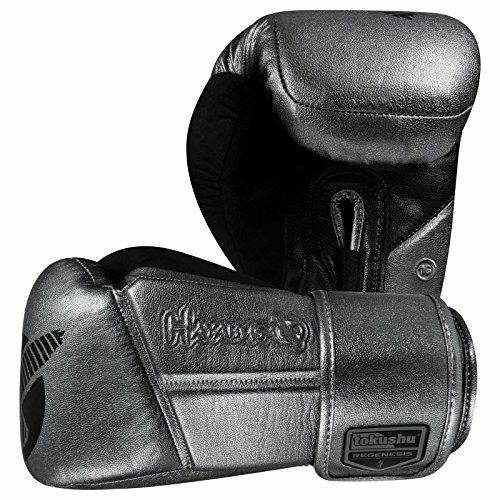 Overall ingenious idea by Hayabusa, that is what makes the Tokushus shine against other gloves. While the quality can be iffy in some occasions, my gloves were fine and the durability of them has been great so far. Just keep in mind that for the price the quality is a little off but the durability is great. Hayabusa also has some of the best quality gear of any MMA brand. The design of these gloves is incredible. The design is what created the great performance. They’re not your typical Boxing glove, they have a more modern and strange look to them. I say strange because it’s different though, not because it’s bad. Personally I like the overall look of the Tokushus. As I mentioned earlier, the two sectioned, dense back padding creates almost like a wall that makes it so you can’t bend your wrist back. 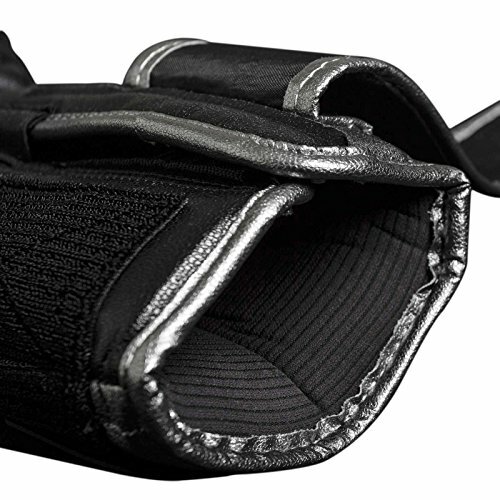 The dual closure is also genius and further helps to support the wrist. Going even further, the small rubber tab on the inner strap was a small but very useful addition. The padding is brilliant. Almost completely broken in from the start, easy to break in, and practically all purpose. When it comes to design there are three things I don’t agree with. First of all the logos, I prefer a more subtle and professional look. I hate obnoxious logos that are everywhere. Also the placement of some, as I mentioned, wasn’t a great idea. Secondly there is no point for the mesh palm or liner used. They both act as a sponge, which if you aren’t careful you’ll end up with one grotesque smell. Lastly the thumb causes a strain on the hand which in some cases I’m fine with because it acts like an extra workout. With longer rounds though the hand cramps you get just become obnoxious. When it comes to design Hayabusa made some incredible innovations. The logo decisions aren’t a big deal. Some people actually like them. Personally I love Hayabusa’s falcon logo I just wish it was used more subtle. What really hurts the design of the Tokushus though is the liner, mesh, and thumb. But even with those issues the design of these gloves is genius. 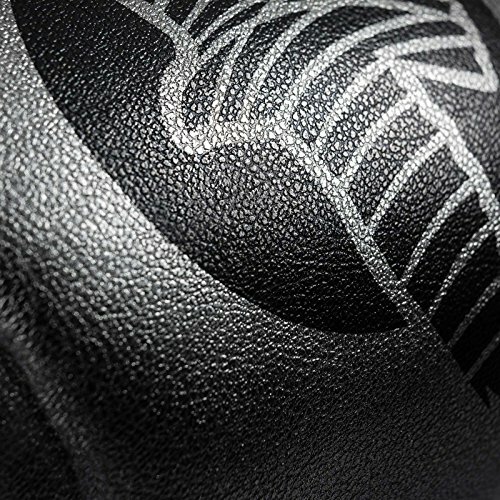 Hayabusa made some great decisions and they created a very unique and good looking glove that performances equally as good. The cost of these can be a real deal breaker especially for the newer models. I got the Tokushus on sale for around $72.99 and for that price they’re worth it. The normal price being $130 though, I just can’t justify that price. The synthetic leather and the decent quality control does not call for a price tag of over $100. If you want the leather Kanpekis, they go for around $170 as well which is even worse. Overall the price isn’t too good. The performance is around the $100 price point but the construction and quality isn’t. The good thing is that these original Tokushus go on sale frequently due to the new Kanpeki and Regenesis models. For the $72 I paid, these gloves are incredible. For $130 though they’re overpriced but they’re still worth it. As stated in this review I am not a fan of MMA brands. I expected some low quality gloves. Gloves where you pay for the look not the performance. What I got were some of my favorite gloves though. These became my go to bag gloves before I got my Winnings. The protection and support of them is almost unmatched. Hayabusa's Tokushus are unique, they're innovative design is just top notch.The only complaints I have are the thumb, mesh, logos and the price. While these gloves are incredible the high price tag is not justified by the low quality control. Overall though the performance makes up for the obnoxious price and if you end up picking them up you won't be disappointed. Lobo purchased this pair of Hayabusa Tokushu gloves himself for the full price. This did not influence the outcome of this review.